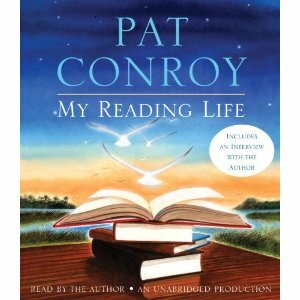 Pat Conroy is the ultra-successful author who has been disparaged by some as a mere “storyteller” and “Southern writer.” Both are labels he gladly accepts, in fact he revels in the descriptions that are often used to damn him with faint praise. Conroy is a writer who has remained true to his craft, to his own personal style even if it is not the fashion of the hour or day with critics. Fortunately, writers are not politicians who must appeal to the majority; nor need they comport with the latest trends. For this reviewer, Conroy is far from being a minor writer. In fact, his true story My Losing Season remains as perhaps the best sports-related memoir ever written, one that fairly balances the rewards, life lessons and harsh punishments of competition. My Losing Season chronicled Conroy’s role as a successful athlete on a far from winning basketball team at The Citadel. Anyone who has played competitive sports at any level will recognize themselves in the eyes of the young and still naive Conroy. This memoir might well have been titled My Life in Books, My Favorite Authors and Books, or In Defense of Great Writing. Conroy, now in his mid-sixties, claims to have read 200 pages a day since early in high school. In My Reading Life, he gets to serve as the reader-reviewer-judge of a lifetime of books. He is clearly partial to the works of southern male writers, some of whom served as his instructors or idols, and all of whom served as substitute father figures. Which brings us to the one big problem with this memoir… Anyone who saw the film or read the book The Great Santini knows how much Conroy hated his father. Everyone knows that and yet in this memoir Conroy constantly drags the dead horse of his hatred for his father around, as if it were some type of perverse trophy. His father has been long-buried, so when is Conroy going to be satisfied with putting his sad childhood to rest? Enough already. To his credit, Conroy does not idolize all of the authors he references in this work. Clearly he never “got” whatever it is that was supposed to be so strong and moving in the works of Ernest Hemingway, and he quite accurately points out that Hemingway’s skills – however one measured them – quickly eroded. Conroy also paints a cold picture of the hazards of fame, something that – if it should come either too early or is poorly timed – can paralyze a writer like Hemingway or James Dickey. Conroy does pay fine tribute to three writers, two male and one female: Thomas Wolfe (not to be confused with Tom Wolfe), Leo Tolstoy and Margaret Mitchell. Atlantans will find the book worth purchasing simply for Conroy’s profile of Mitchell, his mother’s cultural idol. Conroy’s mother attended the Atlanta premier of Gone With the Wind, and taught him to hate General Sherman with every fibre of his then-young being. Of Tolstoy, Conroy writes, “…Tolstoy makes us strive to be better people: better husbands and wives, children and friends… Reading Tolstoy, you will encounter a novelist who fell in love with his world and everything he saw and felt in it.” He also makes the case that with Tolstoy, “There has never been a writer of his mastery who wrote with such clarity and ease.” This reader wonders, however, whether one could rate a Tolstoy above an English writer whose name was William Shakespeare? As one reads My Reading Life, one revisits his/her favorite books of a lifetime. As we revisit these favorites we may well find that something has been lost in modern storytelling. So many novels these days (as reflected in the quotation from Conroy that introduces this review) appear to be over-told, overly complicated and overpopulated with characters. Return to a classic from an earlier time, such as Robert Penn Warren’s Pulitzer Prize winning story All the King’s Men (1946), and you can see Conroy’s point. Regardless of how one comes down on this matter of the past versus current writing talent, Conroy’s memoir is a loving tribute to writers, words and the plain but so often brilliant tales of human life.